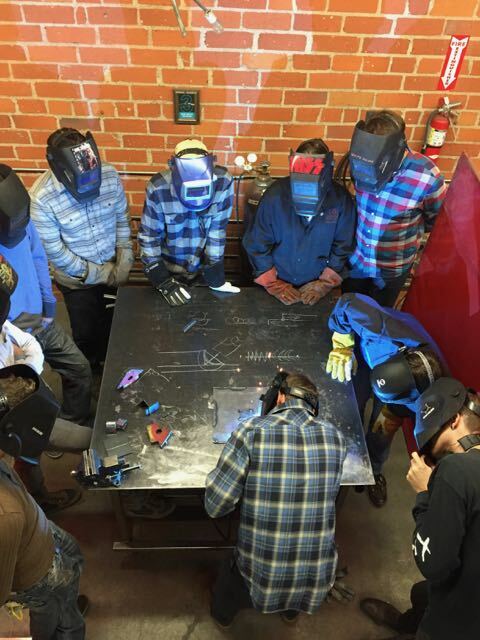 In this six-hour class, we will cover the basics of welding using MIG welders, to have you safely and effectively ready to start your very own furniture, bicycle chopper, or top fuel dragster project. 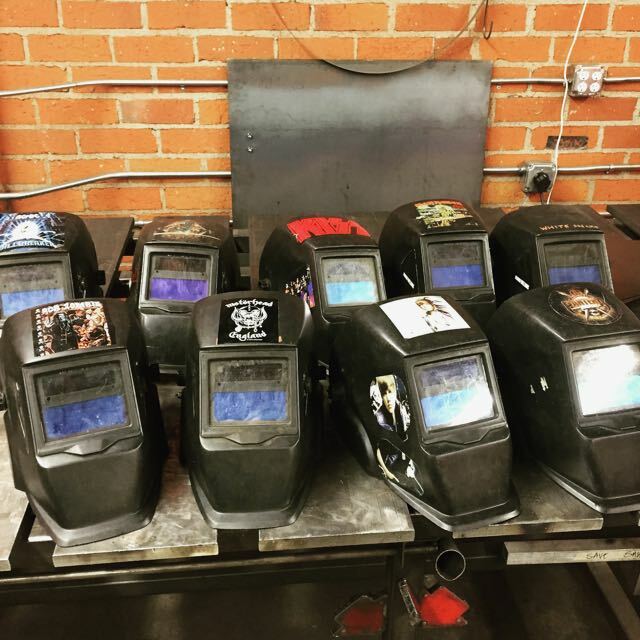 We will be emphasizing skills and techniques that will make welding more accessible to those without extensive workshops, toolsets, or experience. 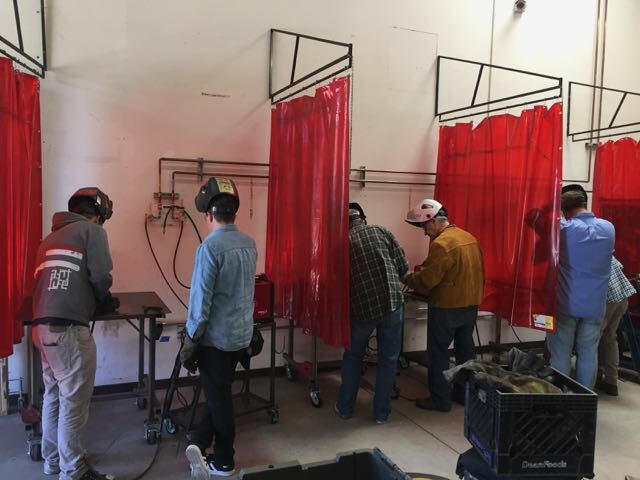 During the class we will cover safety, metal procurement and selection, welding technique, and finishing/rust prevention techniques. 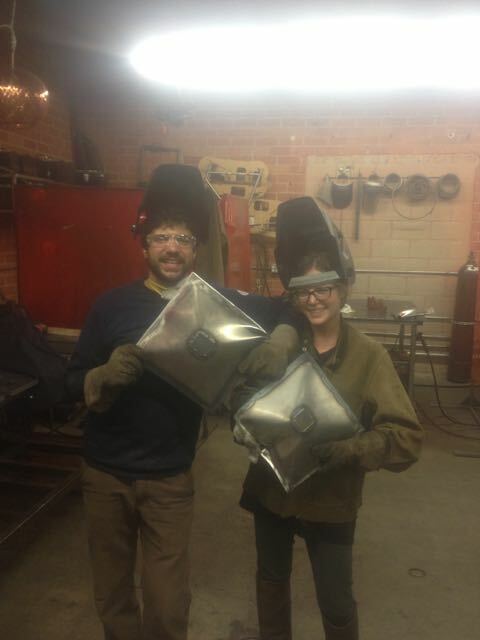 We will then apply all the new skills to make a 12″ pillow that we’ll try to destroy. 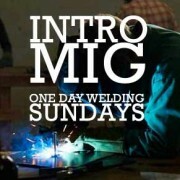 A MIG welder is like a hot glue gun for metal. 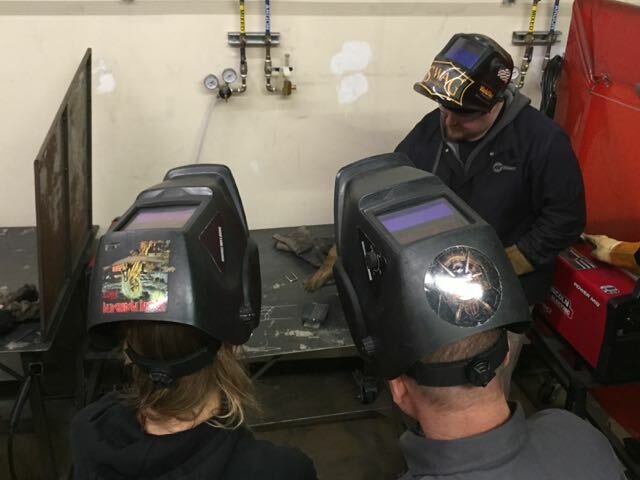 It uses electricity to melt steel and feeds out more steel as you go, so it’s the fastest and easiest welding technique to learn. 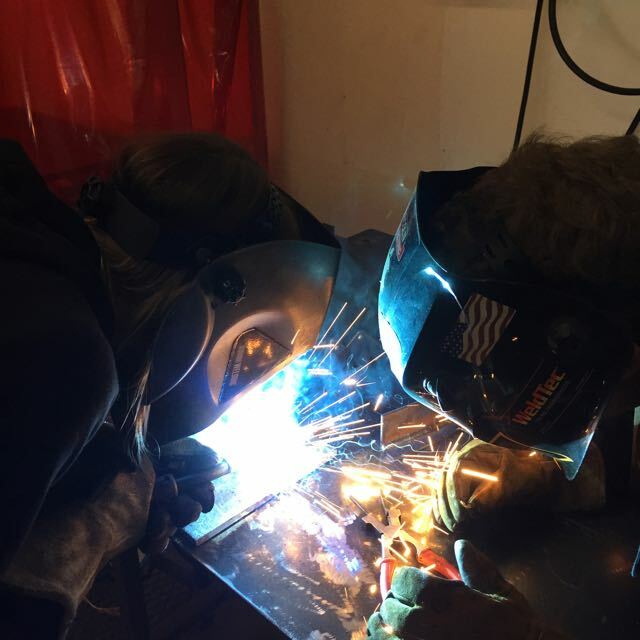 It’s also ideal for making furniture, making gates, doing general welding repairs, and building scrap metal sculpture. 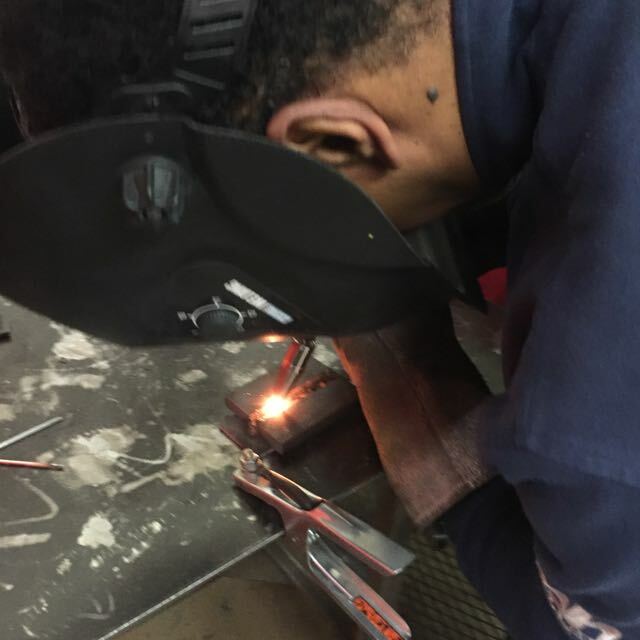 This class also serves as a prerequisite for Open Shop Hours, Steel Stools: Tube Bending, Intermediate MIG: Make Furniture, and perhaps some others to come. Come get started. 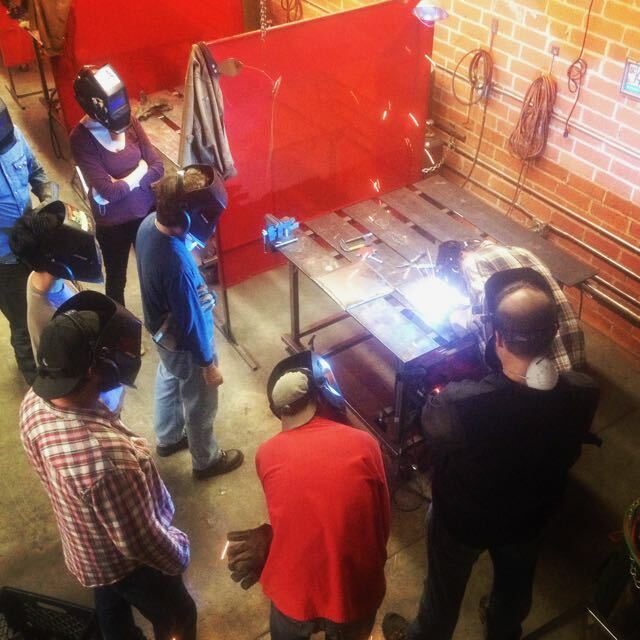 Class Details: Class runs on Sundays and every other Wednesday from 9am-3pm, with a break for lunch. Instruction fee is $90, shop and materials fee is $110 (total $200) (discount if you bring a friend detailed below). Requirements: There are no prerequisites for this class. Age 14 or older. Students under 18 are required to sign up with a participating parent or guardian (and sign up and pay for two spots). 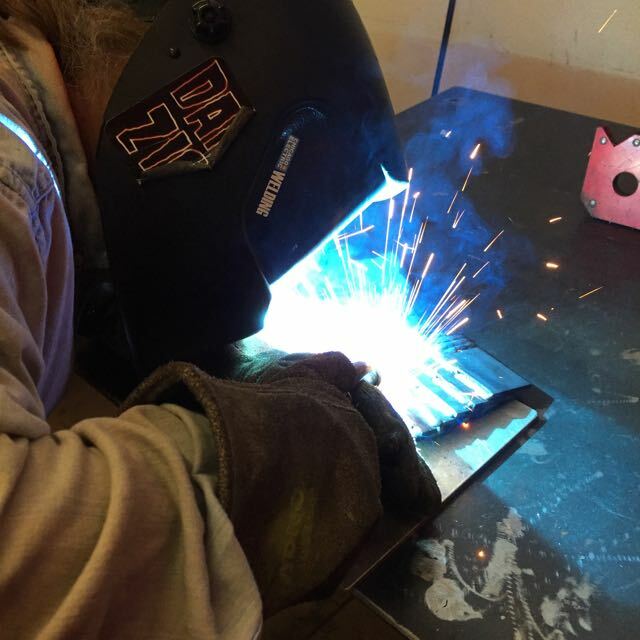 You should be comfortable with sparks and not squeamish with power tools. Standard clothing: which means you will be required to wear long sleeves and long pants, both made of 100% cotton or wool, and all leather or canvas shoes (Vans, Converse, work boots, cowboy boots all good, ballet flats, clogs, running shoes, all bad). No synthetic melty stuff. Please bring reading glasses and something to tie your hair back if you need either. Bring a Friend Promotion: Sign up with a friend/spouse/coworker and get $20 off each person’s registration. You’ll have to sign up under one registration and under one payment to get the deal, however. Works for two or three people (you popular person, you!) Instructions on how to sign up two or more people (it’s more complicated than it should be, sorry, but this link opens in a new window for reference). Refund/Rescheduling Policy: We hope you can make the class, but things happen. If you need to cancel, we can refund your money 7 days ahead of the start of the class (minus a $25 registration fee). You can reschedule the class 7 days before the start of the class as well. There are no refunds or rescheduling within 7 days. By not budgeting for missed classes, we can keep the prices as low as possible for everyone.